The first step to boosting magazine readership is to figure out who it is you’re targeting in the first place. Every business has a target customer, but few realize it. Avoid this potentially disastrous mistake by creating a model reader with your team. Sit down and come up with your magazine’s perfect reader. Include traits like income, background, education level, relationship status, and so on. Essentially, if it’s a socioeconomic factor, it’s relevant. Now that you’ve got your target audience in mind, ask yourself: are you doing everything you can to reach this person? Is your magazine currently tailored to this person? It may be necessary to reassess and refocus your current publication. Let’s be frank for a moment, there are thousands of magazines out there. What makes yours different than the rest? If you don’t have an answer at the ready, it’s likely that your magazine readership is floundering because of a lack of focus. You see, the internet is a mixed blessing. On one hand, it’s easier than ever to create and publish your own digital magazine. But on the other, ease of access means that anyone can create their own magazine. As you can imagine, this results in some pretty stiff competition. Readers only have so much time in their day, after all. Increase readership by focusing on a niche relevant to your target customer. Let’s say, for instance, you’re creating a digital magazine about video games. Great! But there are plenty of print and digital sources for your reader to find content from. What makes your gaming magazine any different? It’s worth noting that establishing one’s niche doesn’t always have to come from the topics covered. Sometimes that niche can come from the way certain topics are covered. A gaming magazine filled with nothing but reviews, for instance, is more targeted than a general gaming magazine. Don’t be afraid to be creative with the way you tackle topics. You’ll also want to consider how often you’re publishing your digital content. There’s a chance that it’s too frequent or too infrequent for your audience’s taste. 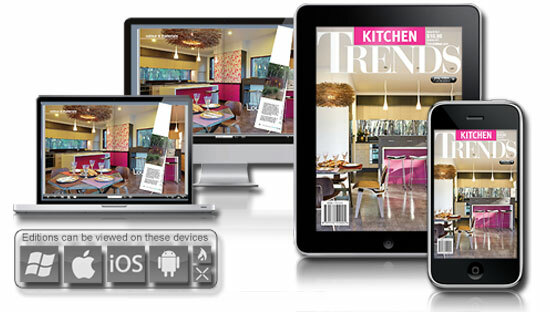 Imagine receiving a new digital magazine once every week, for instance. You’d likely disregard it as spam after a while. Conversely, if you want too long between publications, your audience may forget about your magazine altogether. The trick is to find the right balance. How often can you reasonably publish your magazine without diluting your brand and skimping on content? Don’t be afraid to consider a monthly or even quarterly schedule. Plenty of popular magazines like hard rock publication Revolver and teen lifestyle publication Teen Vogue have switched to a more relaxed publishing schedule. If you’ve ever used a digital publishing platform, you know how easy it is to get your content into the right format. It’s easy to drag and drop content in a way that looks great for your audience and looks professional to advertisers. However, it’s never a bad idea to get a second opinion. Double check that your formatting makes sense, not only for your readers but for editors, as well. You shouldn’t need to spend hours formatting your magazine. That’s time that would be better spent increasing magazine readership through actual content or selling to advertisers. If you’re not already using a drag-and-drop formatting tool, you’re likely wasting time. If you can, grab the nearest print publication near you and skim through an article. Now compare it to the types of articles you read on the internet every day. You’ll likely notice a pretty drastic difference. That’s because digital and print publications write in two dramatically different styles. Print publications tend to go for more third-person, academic articles with quotes and plenty of text. 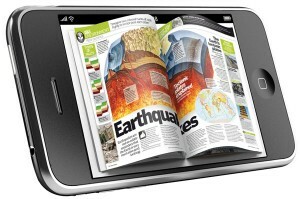 Digital publications may feature shorter, less formal writing with embedded multimedia. The trick here is to write for your audience. Don’t be afraid to simplify your writing for a more generalized audience. It may just help your magazine readership. While publishing your magazine is important, make sure you don’t forget to advertise. Even if you don’t have a ton of money to spend on advertising, there are plenty of platforms out there that can help you get the word out for a low price, or even free. Facebook Ads, for example, is one of the most popular advertising platforms out there. You can choose a marketing budget and tailor your advertisements, so the right people are more likely to discover your magazine. Maybe the best way to increase magazine readership is by getting feedback from readers. Periodically send out a brief survey to readers to get a better sense of what they’re looking for. A few notes: you’ll want to make sure that the survey only takes a few moments to complete. Generally speaking, the shorter the survey, the more likely someone is to complete it. Also, be sure to include a variety of questions that cover everything from your magazine’s publication schedule to its design. The more detailed and thorough your questions, the likelier you are to receive quality feedback. Increasing your magazine readership can be tough, but with Global Online Publishing, it’s easier than ever. Choose from a variety of plans to fit any budget and get more readers. You can even send push notifications to readers when a new article is live.